Respectful Parents Respectful Kids is one of my favorite parenting books. It is modeled after Marshall Rosenberg’s Nonviolent Communication philosophy, and you can apply what you learn to all of your relationships – not just those with your children. Respect and cooperation are not about control, nor are they about managing children’s behavior. You can purchase Respectful Parents Respectful Kids on Amazon ($12.21 new plus free shipping for Prime customers! ), Barnes & Noble ($12.92 new and free shipping if you spend $25), straight from Puddle Dancer Press ($12.55, or as low as $8.95 if you buy multiple books), or check into one of your locally owned/independent book sellers. REQUIRED ENTRY: Visit Puddle Dancer Press and leave a comment here telling us which of their books looks most interesting to you and why. 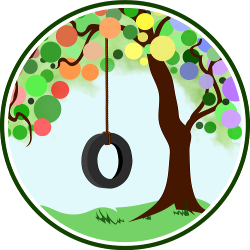 FOR 1 BONUS ENTRY ENTRY: Join the Natural Parents Network Forums and participate in one of the threads about RPRK. Deadline to participate in the discussion threads for entry into the giveaway is March 13. FOR 1 BONUS ENTRY (once/day up to 2 times/entries): Share this post on Facebook: “Join the Respectful Parents Respectful Kids online book discussion on @Code Name: Mama and learn how to turn conflict and struggles with your kids into respect and cooperation. Click to find out how to participate and win your own copy of the book!” Deadline to share is March 6, 2011. Be sure to attach the URL to your update. Leave a comment on this post after you shared the above update. FOR 1 BONUS ENTRY (once/day up to 2 times/entries): Tweet this post on Twitter: “Discussion/giveaway of Respectful Parents RespectfulKids via @NatParNet & @CodeNameMama; turn conflict into cooperation http://bit.ly/iiJSKZ” Deadline to tweet is March 6, 2011. Leave a comment on this post after you tweet. FOR 2 BONUS ENTRIES: Blog about our online book discussion (linking back to Code Name: Mama and the Natural Parents Network Forums). Blog posts must be published no later than Sunday, March 6, 2011. Please leave a comment on this post with a link to your post. FOR 10 BONUS ENTRIES: Write a guest post for Code Name: Mama and email it to me. Your post must present a recent challenge you have had with your child and how you addressed it respectfully – preferably using one of the methods you learned about in RPRK. Posts must adhere to my contributor guidelines, and by submitting a post for consideration, you acknowledge that it may be posted on my site.5 Posts are due no later than 9:00pm CST on Sunday, March 13. Contest closes March 13, 2011 at 11:59 p.m. CST. since she already owned the book! Amazon and B&N links are affiliate links. Dionna, the reviewer of Respectful Parents Respectful Kids, blogs about natural parenting at Code Name: Mama and is also the cofounder of Natural Parents Network and NursingFreedom.org. The book Eat by Choice, Not by Habit looks like a very beneficial read! other than the Respectful Parents, Respectful Kids book the book that looks the most interesting to me would have to be Eat by Choice, Not by Habit because I am trying really hard to change our eating habits and to give up things I know are not good for us (like my 1-2 can a day soda habit!). I think that the Eat by Choice, Not by Habit books looks the most interesting as well (besides the Respectful Parents, Respectful Kids book). I, too, am trying to change our family’s eating habits. Easier said than done! I’d love to read Eat by Choice, Not by Habit! I’m most interested in the Respectful Parents, Respectful Kids book! Respectful Parents, Respectful Kids looks most applicable and interesting for me right now, but Words that Work in Business sounds pretty intriguing too. Eat by Choice, Not by Habit sounds like a good choice. I think when I’m grocery shopping, I tend to buy the same things over and over so I don’t have to read labels. Respectful Parents, Respectful Kids and Eat by Choice, Not by Habit both look of interest to me! Eat by Choice, Not by Habit looks interesting to me. Anything to help my kids lead a healthy life – especially with nutrition interests me. I thought Eat by Choice, Not by Habit looked interesting. I’d love to read “Eat by CHoice not by Habit”. I think the _Peaceful Living_ book looks right up my alley! I always strive to live more peacefully every day.